Testing light doesn’t have to be hard. Spectrometers used to be a sophisticated, highly specialized lab equipment. Getting test results basically meant you’d be mailing in samples to a lab before an extended wait for the results. But miniature spectrometers make it possible to do spectroscopy right next to your sample, giving you results on-site in seconds. Choosing a spectrometer is about selecting between a number of trade-offs. The ones you want to take depend on the sort of things that you’re trying to test. But to understand those tradeoffs, you have to understand a couple of basic things about spectrometers. A basic Czerny-Turner spectrometer is built with an entrance slit for light, a folding mirror, a focusing mirror, grating, and light detector. These are the elements which determine the wavelengths of light which are tested, and how accurate the spectrometer can be. The size of the light entrance, the number of pixels in the detector, the wavelengths accepted by the grating, factors like these have drastic implications on what an instrument is capable of doing. And most of those implications are ultimately reflected in the resolution and accuracy of your data. But unfortunately, the balance between price and performance that’s right for your specific application isn’t always obvious. You’re going to have to decide on which type of sensor and detector you want to use in your spectrometer. Most detectors are built with a photodiode array (PDA.) For ordinary applications, a PDA will do just fine. But some instruments use a charge coupled detector (CCD) instead. CCDs provide very low readout noise, however, they’re constructed in such a way that they absorb UV light. A Vernier UV-VIS spectrometer is where you turn for measuring around that UV absorption problem. For the wavelengths between 160nm and 1100 nm, semiconductor detectors are a natural choice. Their coverage includes UV light, visible light, and shortwave light. For 900nm to 1700nm, Indium Gallium Arsenide (InGaAs) detectors are your best choice. But at the end of the day, what you need most is an understanding of what kind of substances you’re measuring. How does the spectrometer tell you what you need to know? Is it readable? Does your data integrate or export with other devices? Do those devices connect with obscure RS232 ports, or do they use basic USB ports? The seemingly benign details of how the instrument is actually used in the real world can add up to substantive differences in ease of use. Even the simple existence of customizable or preconfigured testing method buttons can save you tons of time and effort in the long run. Strangely enough, measurement time is often overlooked in choosing a spectrometer. This is more of a concern for someone doing several consecutive measurements. But for speed, you want a transmission-based grating with few optical elements in the spectrometer. The physical footprint of the instrument is another consideration. Labs and workshops aren’t known for having ample spare counter space. For a compact spectrometer, look for a small detector size and high grating dispersion. With a heavy priority on cost, you’ll want to look for a non-cooled, CCD/CMOS detector. You’ll end up with a pitifully low resolution on your data, but those readings will still be a far sight better than your best guess. Ultimately, you need to know about the size and shape of the samples you want to measure. You need to know what kind of detection limits you’re facing to choose the appropriate instrument, including the wavelengths of the light you’re measuring. You should know about the sample throughput, to be able to compare single vs. multi sampling features. And lastly, you’ll want to think about if there are any added costs to the instrument, or consumable components you’ll have to replace. The AIBC AI-MK305S is highly advanced. As far as spectrometers go, it uses an unusually portable design alongside an all-in-one orientation. Within its little body, the AI-MK305S provides a highly readable LCD display, backed with a thoroughly dependable Wi-Fi connection. Rather than testing just anything, the AI-MK305S has been made specifically for testing LEDs and OLEDs. For LED quality control, testing, measurement, and design work, you can do no better. The AIBC AI-MK350S sits at 12 x 5 x 10-inches, and weighs just over 4 pounds. It’s a design that roughly resembles a chunky smartphone. And the onboard navigation works much like a smartphone, moving from one clearly labeled color icon to another. Within those menus, you can compare data, check logged data, and make various configuration changes to the device. Paired with the previously mentioned Wi-Fi support, you’ll find support for SD cards and a USB port. Clearly, the AI-MK305S has plenty of options for collecting data. And porting that data is just as simple. AIBC includes free PC software for exporting your data, in either excel or image format. Onboard, you’ll find about three dozen unit of measures for light. Tests include BIN, LUX Imagine, CCT, CRI, LUX, CIE1931, CIE1976, TM 30-15, and PPF. And you can establish minimum and maximum acceptable ranges, which makes it quick and simple to validate the quality of an LED, or comparing two LEDs against past data. This isn’t an imaging spectrometer, so it can’t give you pixel by pixel color coordinates for your color data. The camera resolution is 2 megapixels, and the sensor supports testing within 380nm to 780nm. As tests within that range are conducted, AIBC designed this instrument to provide continuous and automatic data saving. That seems like a minor detail until an accident happens to your equipment and your data goes up in smoke. One thing that makes measurement a bit easier is the visual aiming scope on the screen viewport. That viewport makes it so you don’t have to take your measurements blind. And it’s easy to overlook this, but the onboard file browser for the AIBC AI-MMK350S is actually impressive in its own right. It’s great for quick and easy access to your files. 3B Scientific products are easy to pick out. They’re almost always educationally based, with the intent of helping to bring life to math and science to the classroom. For practical and educational experiments in the space of spectrography, the 3B Scientific U17310 Student Spectrometer is the gold standard. Although the exterior is somewhat humble, within it, you’ll find a full-fledged fiber optic spectrometer. And you’ll also find a unique window to provide students of spectrography a hands-on look at the manipulation of light. The 3B Scientific U17310 kit is 2.3 x 2.3 x 4.6 inches, weighing about 1.3lbs. It’s an unassuming looking gray box, which loosely resembles the machine used by the Ghost Busters to capture ghosts. Within the serious-looking exterior, light transmitted over a 1mm fiber optic cable. And the inclusion of two UBS 2.0 ports makes connecting to a PC easy without the need for special cables. With this spectrometer, 3B Scientific has paired a 40-micron entrance slit with a 0.5nm detector. The resulting transmission yields a resolution below 2nm, so you get highly precise results with each test. And as it makes readings, the 3B Scientific U17310 provides data in a highly readable format. For example, you get your results shaded with the corresponding color of the wavelength for each data point. 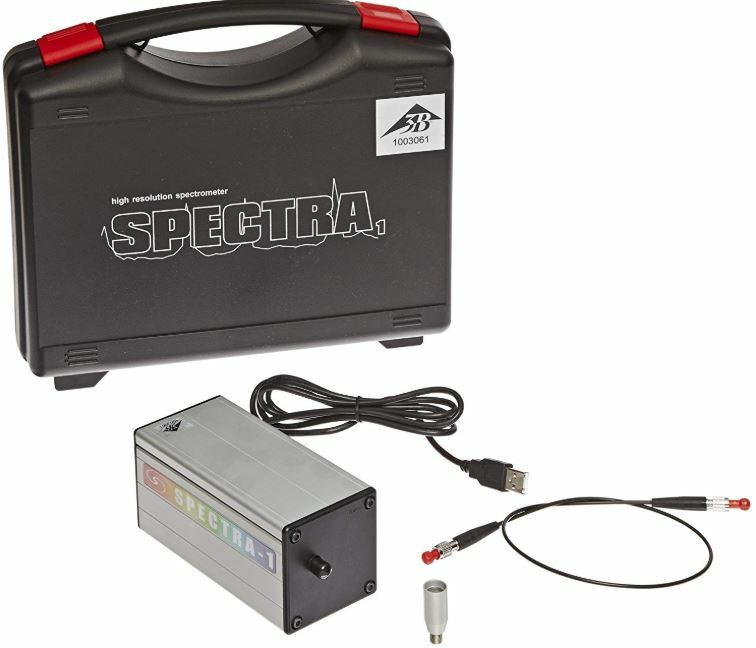 With regard to testing, this kit covers a basic 360 to 800nm range, from visible to infrared. 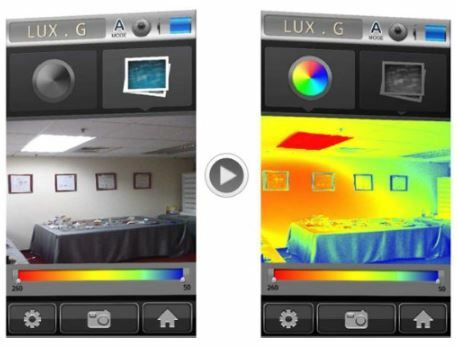 That includes measuring a wide range of color temperature from, 1563K to 100,000K. More pertinent, however, is the way the top cover of the 3B Scientific U17310 is removable. This allows students to directly observe the spectrometer’s analysis of the spectrum. The included data collection software is compatible with modern versions of Windows XP, Vista, and 7. Doesn’t have specific compatibility for Windows 10, but can be run in backwards compatibility mode. This 3B Scientific kit includes the software CD, USB cable, fiber optic cable, and the spectrometer. Also includes a hard shell carrying case to keep everything together between classes. 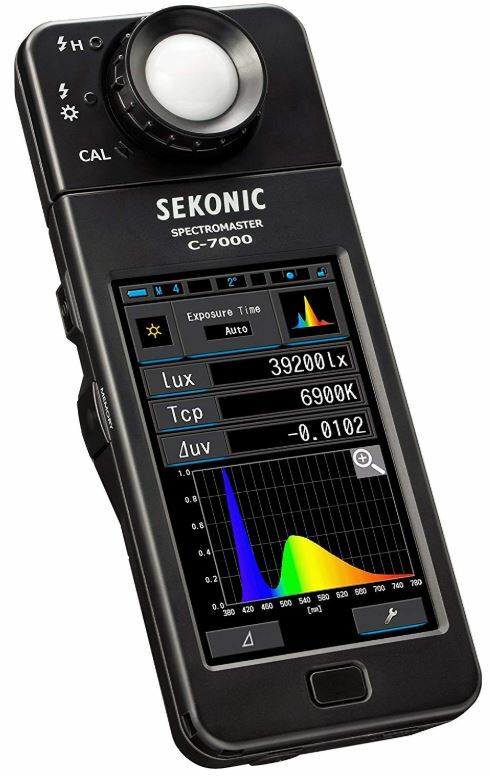 The Sekonic C-7000 SpectroMaster is a highly precise instrument. It’s intended for quality control of manufacturing processes, medical facilities, educational training, safety and health, and so forth. And it was the very first spectrometer on the market which was even capable of measuring flash output. 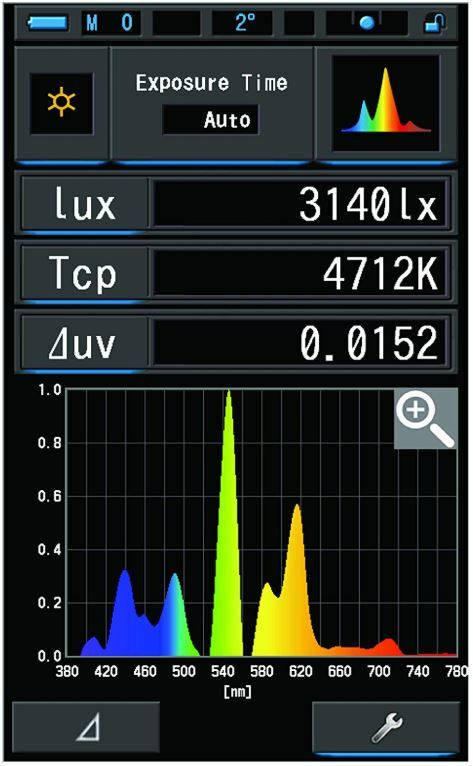 In fact, the C-7000 is equipped to measure HMI, fluorescent, LED, electronic flash spectrum, and even natural light. The Sekonic C-7000 sits at 2.8 x 1.2 x 7.9-inches, resembling a thick television remote. And it weighs about 4 ounces, so it feels similar to a remote on your hands. And much like a remote, it uses two AA batteries for operation. But unlike a remote, the face of the C-7000 is fully engulfed with an impressive full color display. On top of the device, there’s just one simple control knob for dark calibration. And on the bottom side of the device, there’s just one central control button. If you turn to the left side of the Sekonic C-7000, you’ll find easily identifiable and well labeled memory ports. But its most significant feature is perhaps the 270-degree swivel head. That extended range provides full readability from just about any angle or position of the instrument. Turned to real world use, the C-7000 doesn’t disappoint. The full color display is easy to read and navigate. 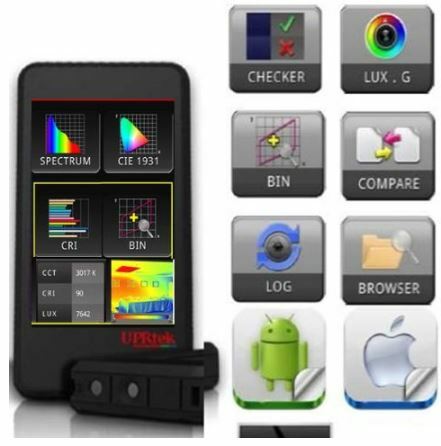 It provides precise details about lux and color temperature, and makes your data comprehensible with on-screen graphics. The C-7000 provides essentially all the same tools as the 3B Scientific educational kit. Except in the case of the C-7000, these features have been turned from providing educational training to providing greater ease of use. When you finally open the settings window, you’ll likely be impressed with how well organized and intuitive the layout was constructed. The interface is similar to that of a smartphone. So if you’ve ever owned a smartphone, you can get used to using the C-7000 in a matter of seconds. The 3B Scientific U17310 Student Spectrometer says it all in the name. This is a kit for teaching students about the transmission of light. The spectrometer within this kit lives up to rigorous scientific accuracy, and can be put to the task or providing you with reliable spectrography, inside or outside of academia. But what really makes this kit special is the ability to pop it open and watch the magic happen. It’s a great choice for educators who want to help make a complex subject a little more real to their students. The AIBC AI-MK305S Advanced Handheld Spectrometer is a world class instrument. It’s the sort of thing you might find in a laboratory at CERN. Except the AI-MK305S is intended to test LED and OLED lighting, for the purposes of research, development, and quality control. For someone who’s looking for LED measurements with unyielding accuracy and significant throughput potential, the AI-MK305S is an excellent choice. Last but not least, the Sekonic C-7000 is for taking measurements in the field. It can measure a wide range of light outputs, including flashing light. That makes it the most adaptable and versatile of these three spectrometers. Yet it remains highly portable without sacrificing power, or its ease of use. For measuring and testing on-site, the C-7000 is worth a close examination.